Product Description Ivy League. Sophisticated, solid and enduring. That describes the Hanover Panel Queen bedroom set with chest perfectly - with maybe just a touch of Oxford class as a bonus. Constructed from lightweight yet high-quality rubberwood and accented with mango veneers and a rich cherry finish, this set exudes sophistication and class. 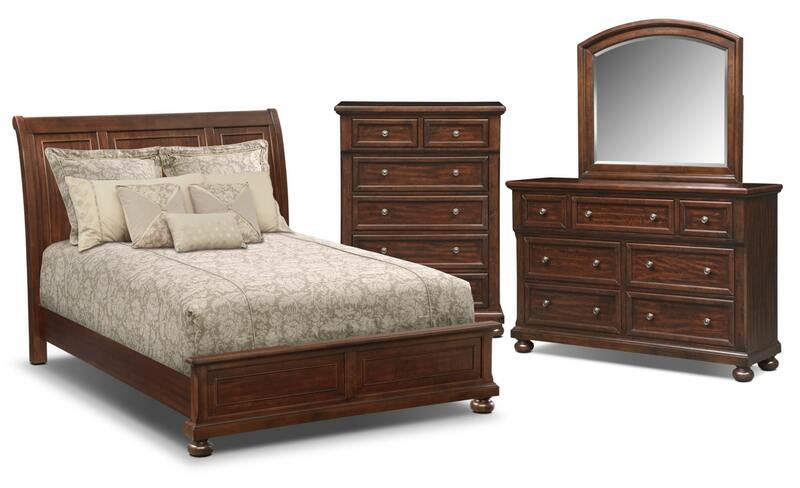 With its clean lines, carved accents and classic design, you can't go wrong with the Hanover Panel set. Customer assembly required. Unique Features: Beveled glass brings subtle dimension to the mirror.